The Bureau of Labor Statistics (BLS) came out with their latest economics survey for 2017, in 2019. They always release data two years late due to the time it takes to compile and analyze the data. As you can see from the latest information below, the average income before taxes in America is a healthy $73,573. $6,131 a month in gross income is a good amount of money for any individual or couple in any city in the country. Only in the most expensive cities in America such as San Francisco, does $73,537 not go very far if you have kids. That said, the average income in the most expensive cities is also much higher as well. For those who are wondering about the median income in America, it’s $62,000. Either way, earning $62,000 – $73,573 is quite a healthy income because the median home price in America is $225,000. The main metric to determine an affordable lifestyle is comparing the ratio of the median or average home price to the median or average income. The average home price in America is closer to $240,000. Therefore, the median or average home price to income ratio is roughly 3-3.5:1. So long as the ratio is around 3-5:1, the typical American can afford a home because banks allow homebuyers to mortgage up to 80% – 90% of the value of the home in most cases. A 80% – 90% loan-to-value ratio (LTV) is the inverse of a 4-5:1 ratio. After about a 5:1 ratio, the average homebuyer cannot get a reasonable loan. In some cities around the country, however, the median home price is often 10X or greater the median or average income. For example, the San Francisco median income is $97,000 versus $1,500,000 for the median home price = 15X. Savvy investors should consider taking advantage of real estate crowdfunding to arbitrage the valuation differentials between expensive coastal city real estate and heartland real estate. For example, after I sold my San Francisco rental property for 30X annual gross rent in 2017, I reinvested $550,000 of the proceeds in 17 different real estate crowdsourced projects with 10% – 12% cap rates versus only a 2.4% cap rate for my San Francisco property. 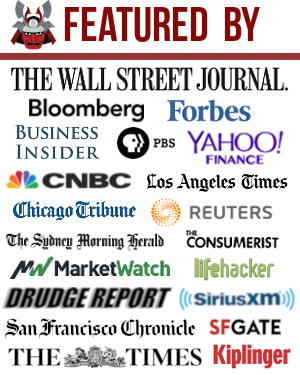 The best real estate crowdfunding platform is Fundrise for non-accredited investors and RealtyMogul for accredited investors. Both are free to sign up and explore their real estate investment offerings. Once you have your housing situation out of the way, all other expenses are reasonable, provided you have an employer to subsidize most of your health care costs. 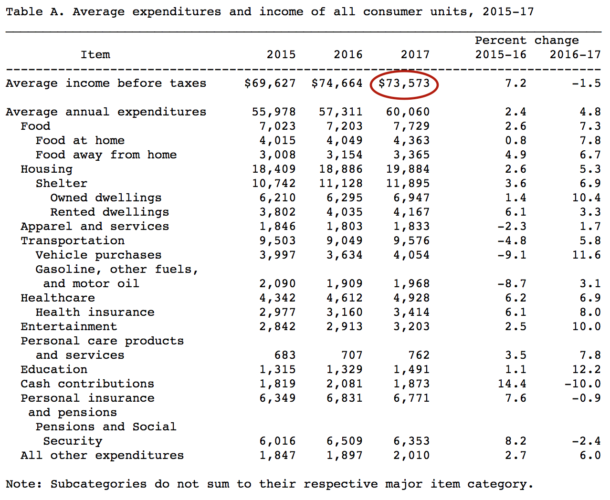 If you punch in the average income of $73,573 into an income tax calculator, you will see the average income earner pays roughly $18,800, or 25.55% of their income towards taxes every year. Notice the FICA tax at 7.65%. The FICA tax is your Social Security and Medicare tax for when you’re in your 60s and want to retire. According to the latest data from the Social Security Administration (SSA), the average Social Security payment is $1,461 a month out of a possible $2,861 a month maximum. 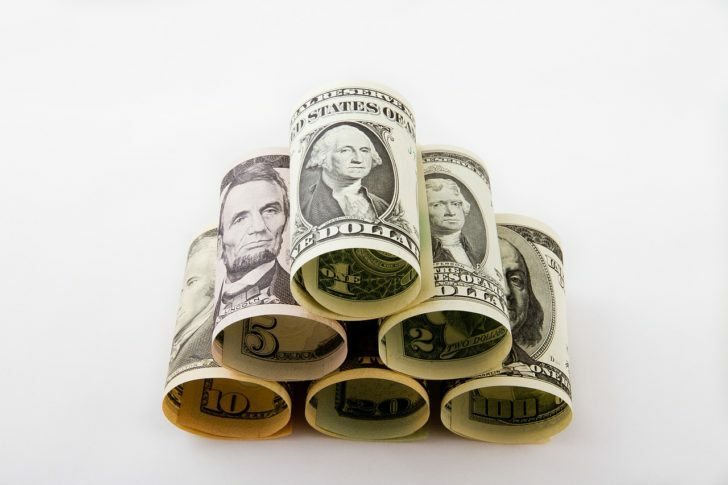 To earn income more efficiently, it’s best to build investment income, rental income, and business income. As soon as an individual starts making over $38,701 in investment income, their long-term capital gains tax rate falls below their marginal Federal income tax rate. If you’re a real go-getter, then you might want to shoot for a top 1% – 10% income. 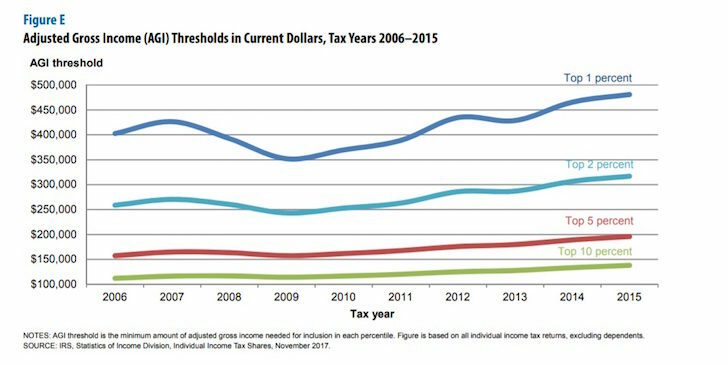 As you can see from the chart below, a top 10% income is roughly around $150,000 and a top 1 percent income is roughly around $500,000 for 2019. Making lots of money is one part of the equation to accelerating one’s path to financial freedom. The other part of the equation is saving as much of your income as possible. You hear too many people earning a big sum with nothing to show for each year because they are not disciplined with their finances. Every financially savvy person needs to diligently track their cash flow and their net worth with a free financial tool such as the one from Personal Capital. You can go the old fashioned way and use an Excel spreadsheet or a pen and paper if you wish, but you might as well take advantage of award winning technology to manage your finances. 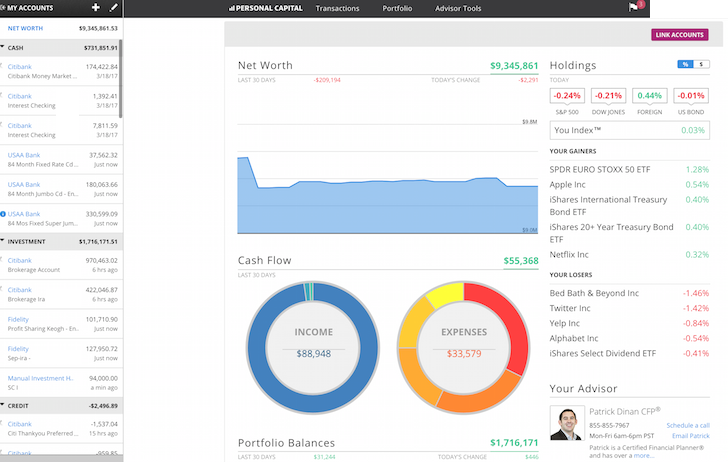 Below is a snapshot of the Personal Capital dashboard. 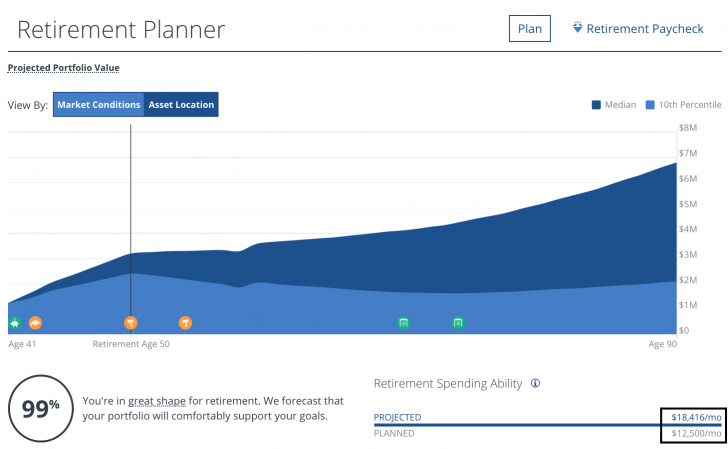 With Personal Capital, you can track your cash flow, analyze your investments for excessive fees and appropriate risk, and get a realistic calculation of you financial picture in retirement. Below is what their Retirement Planner spit out for me. The key is to have your projected income in retirement be higher than your planned expenses. Whatever financial tool you want to use, just remember there is no rewind button in life. You don’t want to wake up 10, 20, 30 years from now and wonder where all your money went because you didn’t track it properly. I’ve used Personal Capital’s free software since 2012 and have seen my net worth surge by over 5X since. I check my data on my phone once a day to make sure everything is on track. Whatever you decide to use, I encourage you to leverage technology to improve your finances. And if you feel you are underpaid, then you should definitely ask for a raise by highlighting how much value you’ve provided over the past year. If you find a new job on the open market, you can usually get at least a 20% – 30% bump in pay.